NBC TODAY Show Goes WILD! PORTLAND, MAINE — March 28, 2018 — Did you know that incorporating a half cup of frozen Wild Blueberries into your diet each day may help you live longer? 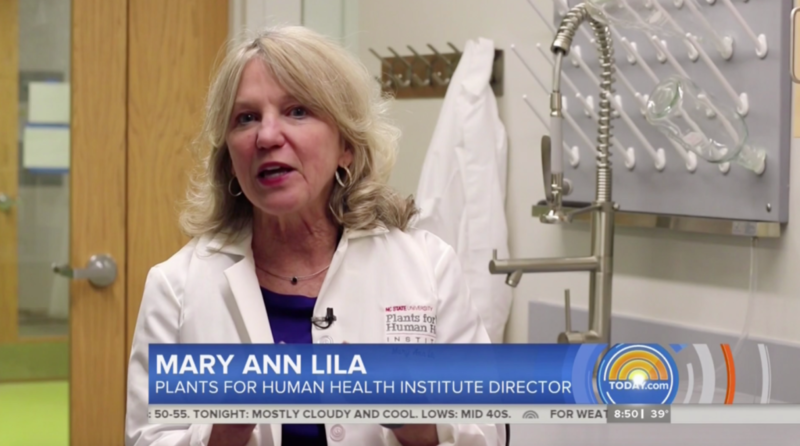 Recently, the TODAY Show featured three foods that may increase longevity; rye from Sweden, olives and olive oil from Cyprus, and our favorite superfruit, Wild Blueberries. 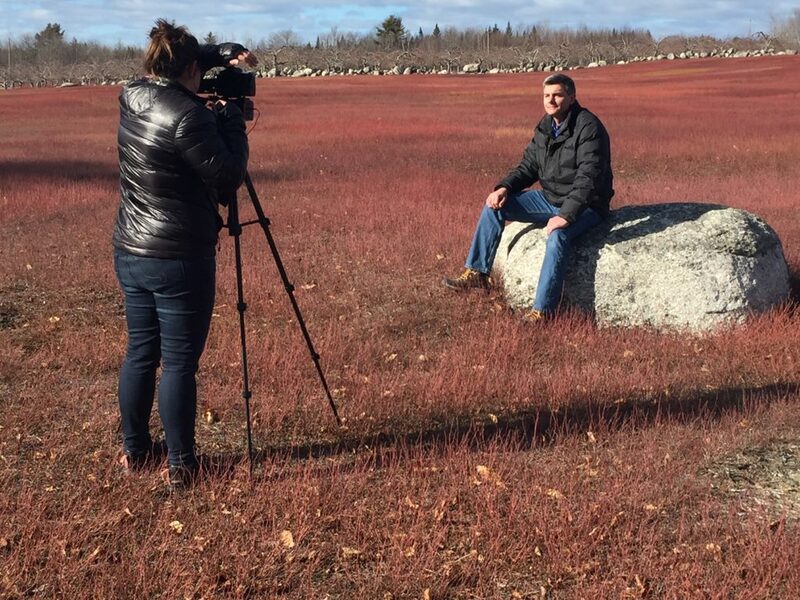 Wild Blueberries only grow where mother nature put them in the harsh climates of Maine, Eastern Canada and Quebec. It is their unique ability to survive in the thin glacial soils and harsh, cold northern climate that makes Wild Blueberries, one the most antioxidant-rich fruits available with twice the antioxidants of ordinary blueberries. Over the last two decades, scientific research has found that powerful phytonutrients in Wild Blueberries may help reduce inflammation, lower the risk of many chronic diseases and assist with healthy aging. 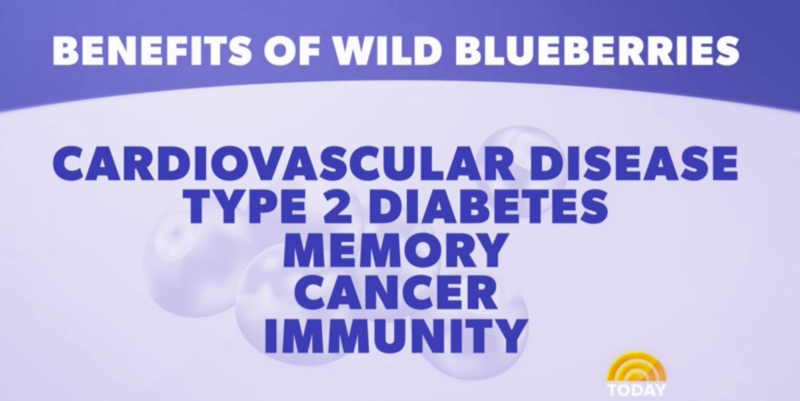 Plus, wild blueberries taste delicious. 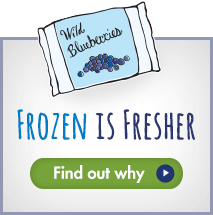 Wild Blueberries are frozen within 24 hours of harvest locking in nutrition and taste. Individuals interested in adding Wild Blueberries to their diet can find them in the frozen food aisle of their local grocery stores. Simply, look for the word WILD on that bag of frozen blueberries and your favorite healthy products.